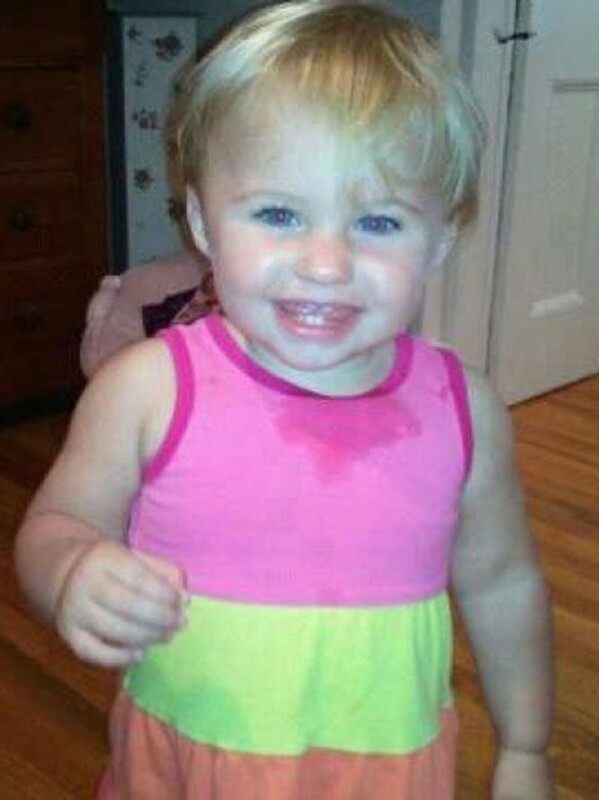 WATERVILLE, Maine — As the one year anniversary of the disappearance of toddler Ayla Reynolds draws ever closer, police reaffirmed Friday that they will not give up searching until she is found. Stephen McCausland, spokesman for the Maine Department of Public Safety, as well as Waterville Police Chief Joe Massey, Maine State Police Detective Sgt. Jeffrey Love and Maine Warden Service Lt. Kevin Adam spoke about their involvement over the past year and their commitment to finding Ayla. Monday, Dec. 17 marks the one year anniversary of when the 20-month-old girl went missing from her father’s home on Violette Avenue in Waterville. Investigators conducted numerous interviews with those closest to the child and searched the home, neighborhood, woods and waterways in the ensuing months, all to no avail. “We will continue until we get the answers we need, especially the answer to the question, where is little Ayla?” McCausland said during a press conference at the Forum. McCausland said there have been no new recent developments in the largest criminal investigation in state history. Police conducted two searches in the last month, he said. One search was done in Mayfield Township and one in southern New Hampshire. “Those were very localized and very concentrated, but not every search is of the magnitude of all the public searches that have taken place here in Waterville,” said McCausland. He did not have any figures on the cost of the investigation to date. Although it is the largest criminal investigation in state history, it is the third largest search for a missing child in Maine history, he said. Kurt Ronald Newman, 4, of Manchester was reported missing on Sept. 1, 1975, after he wandered away from his family’s campsite at Chain of Ponds Public Reserve near Coburn Gore on the Quebec border. The other search did end well, he said. “The other one I can think of in my history, which dates considerably back, was the search around Mount Katahdin in the 1930s for Donn Fendler. That did have a happy ending and a remarkable life followed,” said McCausland. A 12-year-old Fendler went missing from a hike on the mountain on July 17, 1939. He survived nine days on the mountain before being rescued. Fendler, now in his mid 80s, resides in Newport. Ayla’s condition is unknown, but the search continues. Lt. Adam said the main search area in Waterville has stretched about 7 1/4 miles from north to south and about 5.2 miles wide. “As we move forward, we’ll keep expanding out to try to find where Ayla is,” said Adam. For investigators, the search has been an emotional one, said Massey. Police have recently patched communication with Ayla’s father and his family, said McCausland. State police talked to three Waterville relatives in the past month — Justin DiPietro, Ayla’s father; Phoebe DiPietro, Ayla’s grandmother; and Alisha DiPietro, Ayla’s aunt. Trista Reynolds, Ayla’s mother, told the Bangor Daily News earlier this month that pictures and memories are no substitute for a running, jumping, laughing and sometimes screaming child. And they certainly can’t take the place of a living and breathing 2-year-old girl. Detective Sgt. Love said that over the past year, police have followed up on 1,300 leads. McCausland encouraged people to call leads into state police. However, he told a certain group to stop calling. Instead, McCausland is asking anyone with first-, second- or third-hand information or anyone with specific items found that may be relevant to the case to call police. “Those are the types of calls we want at this point,” he said, adding that every lead called into police has been followed up on. The case remains open and active. BDN writer Chris Cousins contributed to this report.